Back in February, my husband and I won a weekend at a cabin on Lake Pepin at the St. Dominic School Silent Auction. This past weekend, we spent a delightful couple of days on the bluffs above the lake, visiting Frontenac State Park, watching the sailboats come into the harbor at Lake City, and picking currants at Rush River Produce near Maidenrock, Wis. The blueberries Rush River is known for were picked out for the day, but owner John Cuddy suggested we try black currants instead, since I wanted to make jam with the berries. Cuddy says black currant is the only jam he makes and he describes this jam as “adults only,” because of its intense berry taste. The recipe is simple: Mix about 6 cups of berries in a pot with 2 cups of sugar, and cook over low heat for 30 to 45 minutes, stirring occasionally, until the jam thickens. (I also added a cup of water to get the berries started and prevent scorching.) This produces a slightly runnier jam than those with more sugar, but it is great on ice cream or a bagel with cream cheese. I love the deep color of the jam, too. Because the sugar content is low, this jam is best kept frozen rather than processed for long-term storage. I doubt our supply will last that long, however. When shopping for currant plants, be sure to look for varieties that emphasize berry quality. A good choice for red currants in ‘Jhonkheer Van Tets’. ‘Red Lake’ was developed at the University of Minnesota. For black currants try ‘Ben Sarek’, which is also resistant to blister rust. If you are interested in growing currants, don’t purchase the Ribes alpinum species, as they are strictly ornamental. Iowa State University has a useful fact sheet on varieties and culture. 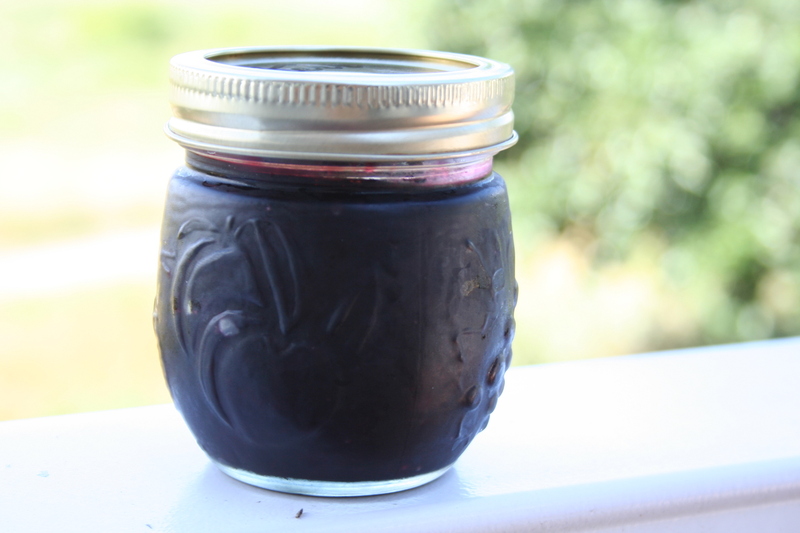 I grow Ribes odoratum (clove currant) and it makes great jelly/sauce. It is either very resistant or not affected by the pine blister rust depending on sources. It has gorgeous fragrant flowers very early in the spring and great fall color. The fruit is dark purple/black. I bought mine through a mail order catalog in NY that specializes in cold hardy fruit.